It is reported that India seeks to establish a tribunal at its embassy in Copenhagen to try a Danish national for conspiracy to wage war against the Indian Government. National trials in foreign countries are not without precedent. In 1999, after the Lockerbie case, two Libyan nationals were tried before an ad hoc Scottish court set up in a former US military base in the Netherlands. After the verdict in 2001, Professor Plachta in a piece in the European Journal of International Law (2001) questioned whether the case had opened the way to a neutral venue principle to solve future disputes involving the obligation of aut dedere aut judicare ). It has taken several years, but Plachta’s suggestion might be getting further support. India has long been seeking the extradition of Niels Holck, a Danish national known in India by his alias ‘Kim Davy’. Holck is wanted for his involvement in the 1995 ‘Purulia arms drop’ where large quantities of weapons and explosives were dropped over the Purulia district of West Bengal in India. A British national and five Russians were subsequently arrested. Holck – the alleged mastermind of the operation – escaped. His co-accused were sentenced to life imprisonment. After pressure from their respective governments all six were later released (for UK parliamentary debate, see here). India never relented in it efforts to bring Holck to justice. It first requested extradition in 2002. The request came after a major shake-up of the Danish extradition law following the events of 11 September 2001. Prior to this, Denmark would only extradite its nationals to other Nordic countries. Holck was one of the first Danes requested for extradition south of the border. But despite the change in law, the resonance of the case in public opinion soon turned it into a cause célèbre. There has never been any doubt about Holck’s involvement: he did not deny participating in the arms drop and even wrote a book about it. After years of negotiations, in 2010 the Danish Government decided that India’s diplomatic assurances were sufficient to allow extradition. Holck, however, resisted and sought judicial review. A lower court halted extradition, but the Danish Government immediately appealed. In 2011 the Eastern High Court upheld the lower court’s decision (ILDC 1856 (DK 2011)). The Court cited the persistent use of torture in Indian prisons as grounds for refusal, and was unpersuaded by India’s diplomatic assurances, which inter alia guaranteed unlimited access to Holck during his trial, as well as repatriation if convicted. India strongly rejected the finding that “prisoners are subjected to torture” and that Holck’s human rights would be violated. The refusal to grant extradition reportedly led to tightened visa requirements – not just for Danes but for all Scandinavians. Danish official sources do not corroborate this, although some businesses do. Although Denmark is not required to institute proceedings concerning acts that were committed before 31 August 2001 (the date of Denmark’s ratification), nothing prevents it from doing so. 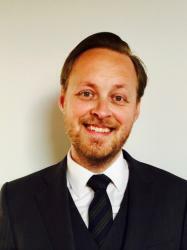 Danish authorities have already found that there is a prima facie case against Holck and national courts confirmed – in line with the principle of double criminality – that he could be tried in Denmark. Despite Indian’s repeated requests, no steps have so far been taken to initiate prosecution in Denmark (see statement of Director of Public Prosecutions). Given the seriousness of the allegations this seems odd, but perhaps the most bizarre aspect of the case is not the conduct of the authorities, but the fact that Holck himself apparently supports the Indian proposal. Depending on the Danish response, there might therefore be further support (mutatis mutandis) for the neutral venue principle. But if the Lockerbie case provides any guidance, negotiations will be protracted. Am I missing something? Assuming permission was granted to India to set up tribunal it its embassy in Copenhagen, doesn’t India still have the problem that it does not have custody of Holck? Would not ‘extradition’ to the embasy still be required? Thanks for your comment. You are right. If Denmark agrees to the Indian proposal there would still have to be some kind of transfer agreement and the proposal would not necessarily solve the underlying issues – unless Holck simply walks into the Indian embassy by his own volition. This, however, is not the only problem. Both Denmark and India have ratified the ICCPR, but Denmark is also party to the ECHR, which arguably sets higher standards in relation to the right to a fair trial. This raises issues concerning state responsibility, although the ECHR only prevents extradition in relation to Article 6 where there is a real risk of a ‘flagrant denial’ of the right to fair trial (see e.g. Omar Othman v United Kingdom).